It’s harvest time all year round in the biodome but when the whole garden kicks into harvest mode it usually under the big full moon in September. It has been called the Harvest Moon since the 1700’s because it gave enough light for people to work late in the fields to get in all the produce before the frosts. 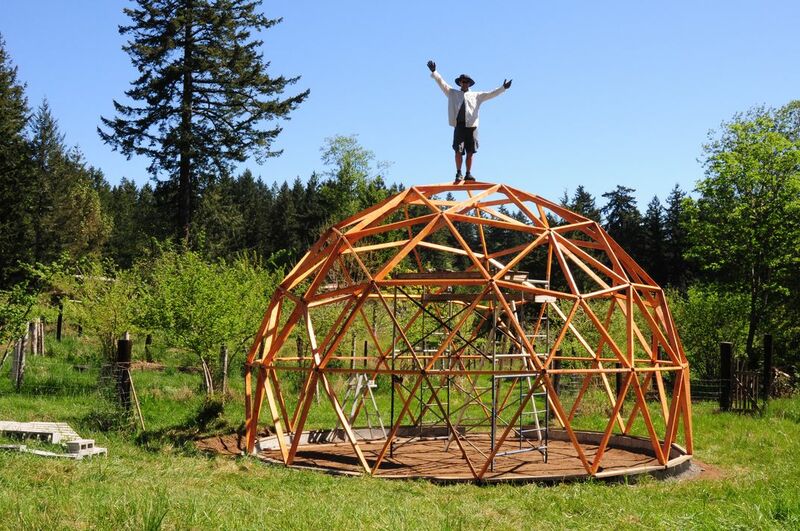 With a geodesic dome greenhouse you don’t need to worry as much about frost (especially with the help of a rocket mass heater or a flock of chickens). If you have access to the electricity grid, you might not need to worry about light as much either. But if you grow a garden, you will certainly face the challenge of the sudden abundance of a crop (as well as the sudden failure of a crop). In any given year, you will generally find that some plants produce well and others not as much. Which crops do well may change from year to year, or you may find that you have the right conditions for a particular type of plant and it consistently produces well. While the greenhouse dome is more limited in space than many backyard gardens, it does mean you can extend the growing season. Or you could focus on one particular crop (tomatoes, peppers, lemons, flowers or herbs) that enjoys the warmer dome ecosystem. Even with staggered plantings, crops often ripen all at the same time. If you have enough space for a food forest, autumn is also when all the tree fruits ripen. You may need to put in a few late nights to harvest everything before an early frost. Saving your own seed is an easy way to maintain crops that do well in your bioregion. Many of those annual garden seeds are ready for harvest in September and October as well, before the rains set in (on the West Coast of North America). So what do you do with twenty pounds of cucumbers? Or a mint patch that has taken over the whole yard and needs to be cut back? Where do you dry out a few dozen bean plants before hulling for seed and cooking? And what about all the apples that dropped to the ground and got bruised before you could pick them? Each of these crops does best with a different storage technique. Cucumbers are great pickled. They can be pickled with old-fashioned salt brine fermentation, like sauerkraut, or with modern water-bath bottling in a vinegar brine. Cucumbers can also be chopped fine with other surplus produce (e.g. onions, green tomatoes, zucchini) to make sweet relish or chutney. It is important to make sure that bottled foods are sufficiently acidic (pickles), sweet (jams) or salty to keep the deadly botulism bacteria from growing in the anaerobic environment. Alternately, you could invest in a pressure canner, learn how to use it, then can at high temperatures which destroy any nasty microorganisms. Apples and plums can be bottled like this, or cooked down into sauce first. Fruit can also be juiced, fermented into wine, or frozen. The most space-efficient storage method is to dry thinly sliced fruits and vegetables in the upper part of your greenhouse or commercial dehydrator. Without moisture, the abundance from the Biodome and garden can be stored in sealed containers for many years without refrigeration. When you cut back vigorous herbs in mid-summer, save the best and dry them for teas, medicines or kitchen flavorings. Spread the herbs on a rack or tie them in bunches and hang them up out of direct sunlight. Seed crops can also be dried this way before processing. Seeds and herbs both store best in the dark, cool and dry. Nuts, garlic, onions, potatoes and squash also like to be stored dry. You can turn an unheated attic, garage or back-room into a storage pantry if your house doesn’t have enough dedicated space for keeping food. Remember to check on stored produce regularly. One bad apple can ruin the whole box. 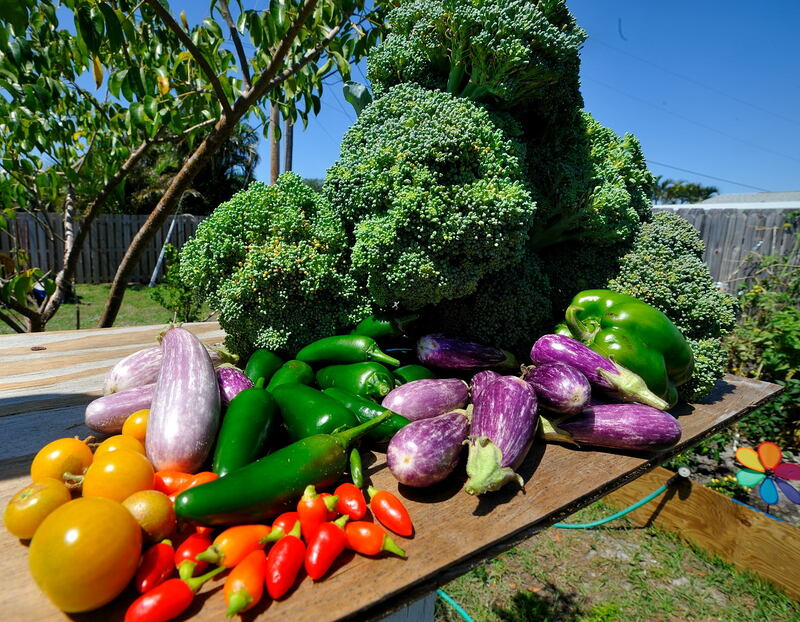 Other garden crops like to be stored damp and cool. 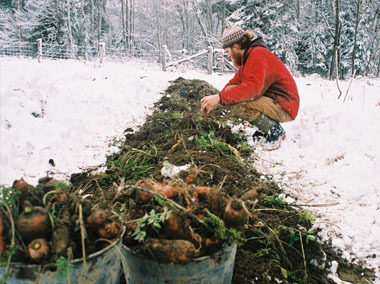 On the West Coast, winter root crops (carrots, parsnips, beets, leeks and turnips) can be left in the garden, well covered with soil and mulch, to be dug as needed. If the ground freezes in your area, then you need a root cellar dug into the ground or some other dark insulated space to store root vegetables buried in layers of damp sand or sawdust. In between all these busy squirrel-like harvest activities, remember to sow a crop of late lettuce, radishes, kale, cress or spinach in your Eden Biodome so you can continue to enjoy fresh greens throughout the winter. 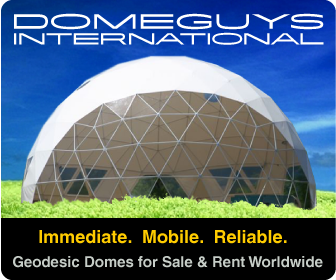 It’s true that food grows on trees, and avocado trees grow in geodesic greenhouses, but you have to be ready to take advantage of the seasonal abundance when it comes and store enough away to last until the next harvest from your biodome. A basic tenet of Permaculture is that the waste product from one activity can always become a valuable resource for another activity. 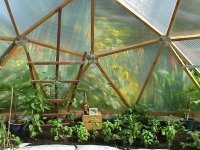 A true Eden would be a biodome greenhouse that is a self-contained integrated productive ecosystem with minimal external energy demands. Vermiculture, the fancy name for worm farming, is a great fit with this type of sustainable ecosystem. In the right conditions, European Red Wiggler worms can eat their own weight daily in organic compost (a mix of nitrogen-rich and carbon-rich plant matter). The resulting nutrient rich worm “castings” can be harvested two to four times a year. The Biodome is a great place to make sure worms stay happy and active through the colder season. In a good-sized compost bin or worm box, there should be enough organic material to keep the worms insulated in cooler weather. In the summer, it is important to make sure the worm bin is kept shaded and moist to keep the worms cool enough. While they can survive between 10 °C (50 °F) and 30 °C (86 °F), just like us, worms eat most actively around 15–25 °C (59-77 °F). Red Wrigglers like a warm moist environment. Too much thermophilic composting (think piles of hot grass clippings) will kill them, as will a hard freeze with insufficient insulation. While the worms themselves can be raised for bait, or as feed for other animals, the most valuable service they provide is turning left-over plants material and kitchen scraps into excellent fertilizer. Worm manure is high in microbial activity, improves soil aeration, water and nutrient retention, and contains many bio-available nutrients. In other words, it is ideal plant food. Your worm bin should have a drain to collect the “compost tea” liquid fertilizer that will collect at the bottom. Alternate layers of carbon-rich bedding material (dry leaves, shredded paper with vegetable-based ink only, hardwood sawdust, hay or straw) with layers of nitrogen rich food (kitchen scraps, weeds, most plant trimmings, grass clippings). Remember, worms need oxygen too, so make sure there’s sufficient roughage to leave plenty of air-gaps. Always finish with a layer of carbon-rich bedding and moisten with a sprinkling of water, from rinsing the compost bucket, for instance. By keeping the compost worm bin inside your Biodome Greenhouse, the worms will stay active throughout the year, and the bin doesn’t need to be so securely sealed. Outdoor insecure compost bins tend to attract rats, crows, possums, raccoons, ravens and bears (depending on your location). Besides worms, most compost bins develop an entire ecosystem of beneficial decomposition organisms and their predators. Slugs, earwigs, millipedes and wood-bugs can become pests on garden crops, but in the compost they join the worms in converting rotting plant material to gardening gold. “Worm Juice” is concentrated type of biological “compost tea” sells for $40.00 a gallon! Worm Juice is a by-product of nature in liquid form, Worm Juice is rich in good nitrogen fixing bacteria, and the key is the 100,000CFU/ml bacteria plus ready available liquid minerals and trace elements for immediate plant uptake. Also remember you can make money with your worm farm! 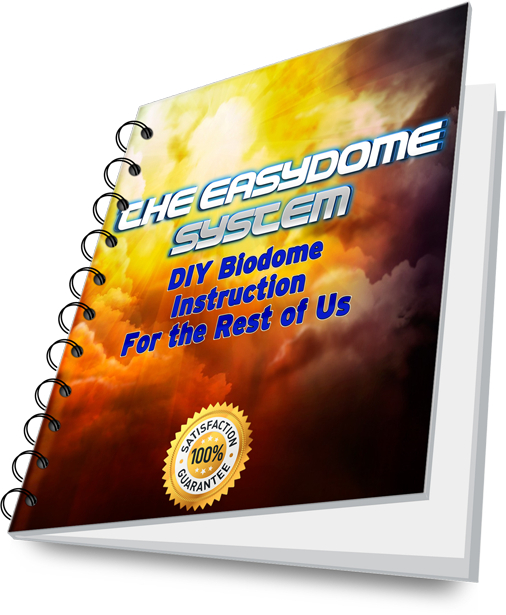 A very small operation could easily pay for light and power for your biodome greenhouse all year round. In fact some folks are making a good side income just off live worm, worm juice and casting sales. After six months, 12lbs of worms can produce over 300lbs of vermicompost/month. 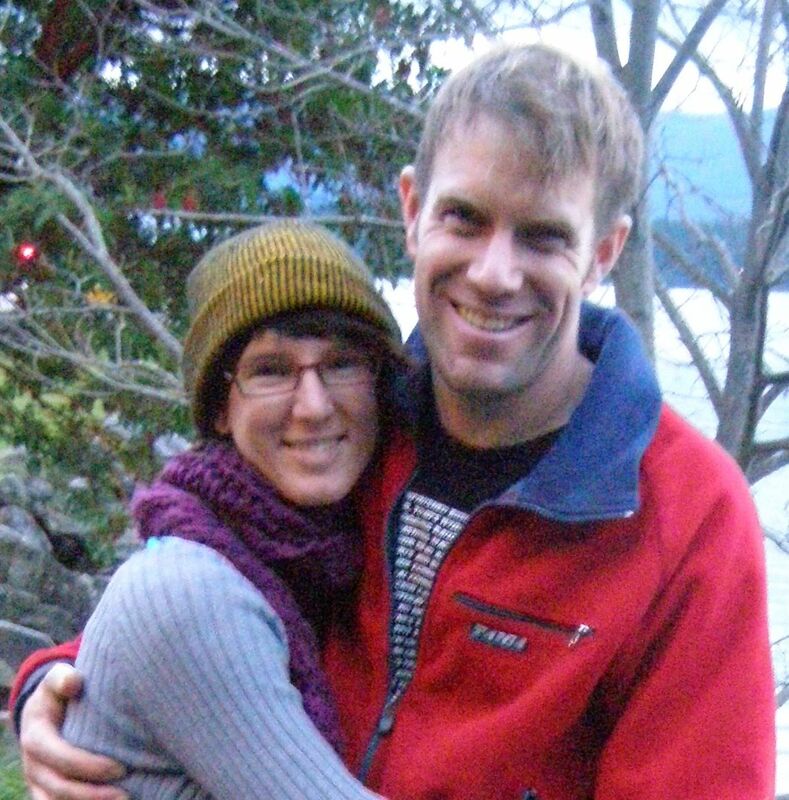 Assuming a farm gate selling price of $2/lb, a monthly revenue of $600 totally achievable. Less monthly expenses of $50, monthly net income reaches $550.00 not counting labor but also not counting worm juice sales. This means a yearly net return of $6,600.00 from an investment of under $400 or a 1650% return on your investment! Worms double every six months with a corresponding doubling of the vermicompost business. 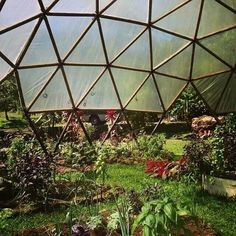 So stay small as a side business or go big and create biodome greenhouses all over your property pumping out “black and red gold”. Ever since the first person picked up a stick to dig a root or used a rock to crack nuts, humans have benefited from using tools. Now, of course, there is a specialized tool for almost any job out there. However, there are some tools that get used most often on a small farm and in the Eden Biodome Greenhouse. All tools last longer if they are looked after. Keep them clean and dry (and out of the sun if there are any plastic parts). Put all tools away when the job is finished so they are easy to find the next time someone needs them. When using any type of leverage tool, remember that the force applied to it is quickly multiplied and trying to pry up a heavy rock or shovel-full of hard packed dirt can easily break the handle. Of course, the human body and brain are the most important tools of all. It is important that tools are the right size and weight for each user. Just as children enjoy having real usable tools in their size, people who are taller than average will prefer tools with longer handles. Shovels: The digging shovel is used vertically for ditches, post-holes, gravel, sand, garden beds and compost. The scoop shovel is used horizontally, often with the help of a rake, for scooping sawdust, snow or other light-weight material. Forks: The digging fork is used like a digging shovel, especially for turning garden beds and digging up root crops such as potatoes and carrots. The pitch fork is used for hay and other material—clean for feeding, old for bedding, and dirty for composting. Rakes: The steel rake is used for smoothing garden beds, paths or other rough ground and raking up rocks or twigs. The leaf rake (or fan rake) is used for raking up leaves, hay, fir cones or other lightweight material without disturbing the ground underneath. Hoe and Mattock: The weeding hoe is used for garden weeding and making furrows. The mattock is like a heavy-duty hoe used for loosening hard soil, digging ditches and chopping roots. Pruning shears: The small pruning shears are used for trimming grape vines, blackberry bushes, fruit trees and herb stalks. The big loppers are used for heavier cutting of fruit trees and shrubs. Axes: The maul is used for splitting firewood. The hatchet is used for trimming branches, splitting kindling and shaping posts. Wheelbarrow and buckets: The wheelbarrow is the “work-horse” for hauling all sorts of loads: gravel, dirt, manure, firewood, boxes of produce, even children! Buckets are also used for hauling. Hoses and watering can: Keeping water flowing is critical for all plants in the Biodome Greenhouse. Buckets or barrels of water filled sitting in the greenhouse dome will absorb heat during the day and then release it at night to help passively maintain an even temperature. Most warm weather plants prefer the warmer water from barrels. The barrels can be filled from the hose and kept screened to reduce pests. Steel bar: The steel bar is used for breaking up very hard soil or rock especially when digging post-holes. It is also a strong appropriate leverage tool for shifting large objects. Carpentry tools: Simple carpentry construction (or demolition) of fences, gates, sheds and barns can be done with a few tools. These are: hammer, tape-measure, square, level, hand-saw, pry-bar, multi-driver screwdriver, locking pliers, fencing tool and ratcheting socket set. There are, of course, many other tools that can be very handy, including electric and gas-powered machines. Everyone will have their favorites. This list is just a basic starting point for anyone wanting to grow food in a greenhouse dome, a food forest or conventional beds. For more information about tools and materials for the home handy-person and gardener, try The Complete Illustrated Guide to Everything Sold in Hardware Stores and Garden Centers: (Except the Plants) by Steve Ettlinger.